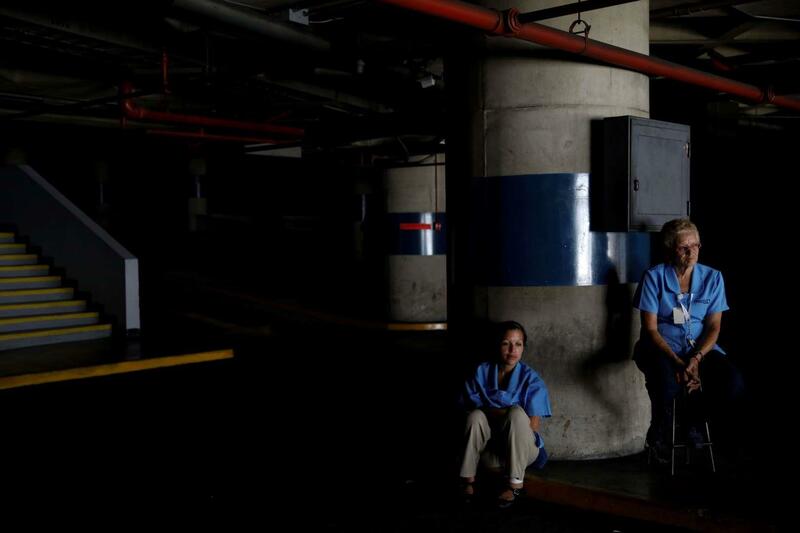 CARACAS, March 26 (Xinhua) -- Venezuelan schools and offices on Tuesday were ordered to shut down for 24 hours as officials worked to restore electricity following a second widespread blackout, Communications Minister Jorge Rodriguez said. The move came a day after the country's central hydroelectric plant at the Guri Dam in southeastern Venezuela suffered at least two new attacks, knocking out power across several regions, according to the official. "The government has, from the moment of the attacks, deployed all its efforts to restore electricity service as soon as possible throughout the country," Rodriguez said. "The criminals started a fire at Guri's 765 kVA (kilo-volt-amp) patio with the vicious intent to definitively damage the generation and transmission of electricity," Rodriguez said. The plant in southeast Bolivar state generates almost two-thirds of Venezuela's electricity. Officials have blamed the blackouts on sabotage by U.S.-backed right-wing extremists trying to undermine the government. "The ambition of the right wing knows no bounds," he said. "Firefighters fought the fire all night until they were able to put it out completely at 8:45 a.m. today on Tuesday (1245 GMT)," he added. "We will defeat this electricity war with the immense power that we as a country have accumulated in our struggle against scurrilous empires and their local lackeys," said Rodriguez. Monday night's fire was preceded by an attack earlier in the day that briefly caused a power outage.